Working with Positively Partners means having access to a team of professionals with the know how and the ability to make it happen. We're schooled in the latest academic findings and trained by the leaders of our fields. And we're skilled implementers of systems and process having served in key leadership roles within schools, nonprofits and the corporate sector. 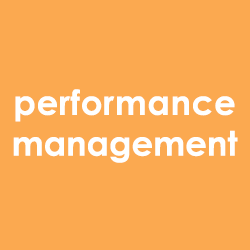 Partner with us to uncover the barriers to sustained peak performance. We don't want to be known as consultants, we want to be active members of your team, bringing the expertise and experience needed to inspire and enable employee engagement throughout your organization. Achieve sustained peak performance using strategies aligned with the mission of your school or nonprofit organization. Hire employees with a passion for your organization's mission and make sure each employee knows how they can contribute to key successes. Demonstrate an interest in the opinions of all employees. Show their diverse ideas and approaches are valued and lead to better results for all. Empower employees to use their strengths to achieve excellence and give them the authority to use their talents to drive forward quality initiatives. Set clear goals and expectations for each employee and use Quarterly Performance Conversations to uncover barriers to success, enable solutions and recognize achievement. Make space for the long-term development of employees; creating opportunities for learning and growth. Democratize as much information as possible to give all employees the context and insights needed to fully participate and contribute. Promote the well-being of your employees through initiatives that build personal connections, reduce stress, create balance and offer fair compensation and benefits for all. 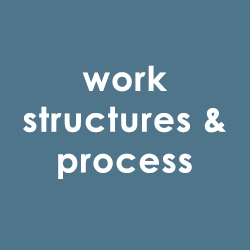 Create work structures that promote collaboration, efficiency, and reinforce organizational values and expectations.